An ACDelco GM Original Equipment Engine Crankshaft Position Sensor monitorsthe position and rotational speed of the crankshaft, and is a GM-recommendedreplacement for your vehicle's original component. 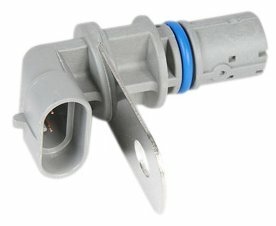 The signal from thecrankshaft position sensor is used by the engine control module to determinefuel injection and ignition timing. This original equipment engine crankshaftposition sensor has been manufactured to fit your specific GM vehicle,providing the same performance, durability, and service life you expect fromGeneral Motors.